Just like the Walkers…I’m baaaaack! Great questions continue to pour in. Want to get involved? You know where you can find me. Jordan from Santa Monica, Calif. writes: Which prospect do you think the Rockies should’ve grabbed in the MLB Draft this weekend but didn’t? Cody Voga: There will certainly be plenty of great talents that come out of the draft and won’t be in Colorado, Jordan. One player I wish the Rockies would have picked is actually from around your area. Aaron Brown is a pitcher and center fielder from Pepperdine University who is an all-around player that could have helped Colorado in many areas. The 6-foot-1 southpaw was the Player of the Year in the West Coast Conference, hitting .306 with 12 home runs and 47 RBI. He is currently 13-1 with a 1.95 ERA and 104 strikeouts in 115.2 innings. I say currently because the Waves are in the Super Regionals and are playing for a chance to make it to the College World Series on Monday. Brown was picked No. 81 overall by the Phillies and has a chance to make it to the majors as fast as anybody in this class given his array of talents. 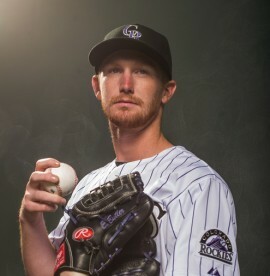 Bryce from Des Moines, Iowa writes: Now that we have had time to digest Eddie Butler’s debut, what do you make of it? Cody Voga: There are certainly two ways to look at it, Bryce. Positives are always good, so we will stick with that. Butler was thrown to the wolves by manager Walt Weiss – and I think that was a good decision. Butler won’t face a better lineup this season than that of the Dodgers. He did record two strikeouts on Yasiel Puig, making the Cuban look foolish on both of them. Despite picking up the loss, Butler didn’t shy away from Los Angeles hitters as he pounded the strike zone all night. 61 percent of his pitches were in the zone, showing he had no fear of the competitors. We also saw the full arsenal of Butler’s repertoire. He mixed in his slider, curveball and changeup very well with his fastball. He also showed that he is unafraid to throw any pitch during any count. Do you think Franklin Morales would have done any better? As his numbers show, I would highly doubt it. It was good to toe the rubber in Denver for the first time for Butler. Only better starts are on the horizon. Martin from Colorado Springs, Colo. writes: With a plethora of outfielders, do you see a trade in the future for the Rockies? How about for a left-handed reliever? Cody Voga: You and I think very similarly, Martin. I recently posted a scenario in which the Rockies would be trade partners with the Red Sox. I can see a trade happening with the Red Sox because they have a drastic need in the outfield. Shane Victorino has been the best outfielder all season, and he is just hitting .242. Jackie Bradley Jr. has done well defensively in center and has shown some of the potential that Boston has been banking on. The other outfield spot is certainly up for grabs. As much as it would pain me to see Brandon Barnes or Drew Stubbs go, either of those two could pull Andrew Miller to the Rockies. Miller would give the Rockies a solid southpaw that they have been lacking this whole year. Miller’s 2.81 ERA would rank first among Rockies left-handers if he were to land in Denver. The next trade will show just how committed to winning the Rockies organization is. The Colorado Rockies are currently two games out of a Wild Card spot, despite being 28-30. They are in the midst of their worst stretch of the season, losing 10 of their last 12 games. With Colorado being in an awkward position (are they contenders or pretenders? ), there have been some rumblings around the organization whether to try to improve the roster via trade or blow the whole thing up and rebuild. Considering how the roster is structured, it would be easy to see both points of the argument. On one hand, the Rockies could break the backs of their fans by trading Carlos Gonzalez. It’s tough to see him in another uniform, especially with his buddy Troy Tulowitzki still holding it down for Colorado. I don’t envision this happening because Gonzalez, 28, is in the prime of his career. Sure, Corey Dickerson, Brandon Barnes and Drew Stubbs are off to great starts this season. Sure, “CarGo” seems to find himself on the DL more and more. But, at any point, who is more feared by opposing pitchers? CarGo. Who is more clutch and can be counted on when it matters most? CarGo. Dickerson, Barnes and Stubbs will get their plate appearances, but they shouldn’t expect to be starting for Colorado anytime soon. The haul for CarGo would be juicy. However, with most of them being prospects, how does anybody know they would be able to contribute even half of what CarGo has? I’m squashing this rumbling like a bug. On the other hand, Colorado could risk its future for the now. Trading for a solid arm, such as Jeff Samardzjia, has been a topic that seems to be lurking in the shadows. Samardzija would have to sign long-term for this to even be considered by the Rockies. The Cubs would be asking for a high price that could include any of Eddie Butler, Jon Gray or Tyler Matzek. The recent call-up of Butler complicates matters because if he does well, Colorado will be hanging on to him for the long haul. If he struggles, he won’t have as much value to the Cubs, thus cancelling this trade. Jon Gray is the most coveted prospect in the Rockies farm system. Giving him up for anything short of an ace in their prime seems unlikely as he oozes potential to be the cornerstone of the franchise in years to come. Tyler Matzek might not be seen in the same light as Butler or Gray by other organizations. Matzek has had a rough time in Triple-A, showing that he might not be the answer that other clubs are looking for. Like the CarGo trade, this rumbling can be smashed. A more realistic approach would be to improve the roster by trading proven players for proven players that help out both teams. The final rumbling is a trade involving the Red Sox. Though there are no specifics given, both the Rockies and Red Sox seem to be terrific trade partners. The Rockies need help with left-handed bullpen relief. Current southpaws in the bullpen, Rex Brothers and Boone Logan, have ERAs of 5.47 and 5.87, respectively. The Red Sox have two solid, proven veterans in their ‘pen that can help this issue. 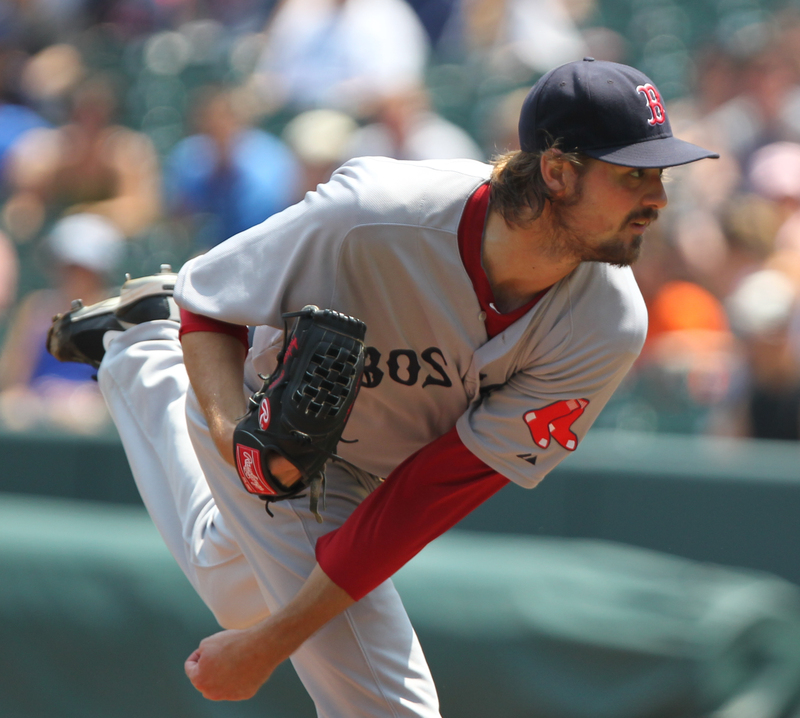 Andrew Miller is a lefty who owns an ERA of 2.55, which is impressive considering he pitches in a toughest division in baseball – the AL East. Hitters are only batting .196 and left-handed hitters have collected a total of seven hits against Miller. The Red Sox need outfield help just as badly as the Rockies need a southpaw reliever. 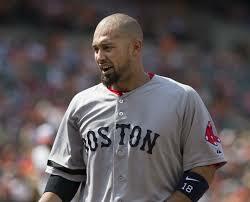 The best outfielder for Boston, Shane Victorino, is hitting .242 with only 10 RBI. The worst-hitting outfielder, CarGo, is hitting .255 but has the potential to be a MVP candidate when healthy. Meanwhile, every Rockies outfielder has an OPS of at least .730. The best OPS number for the Red Sox comes from Jonny Gomes – .713. I can see a deal of Barnes or Stubbs for Miller happening. Both teams have dire needs and both can be filled without giving up players with high potential or large contracts. I’ll let this rumbling stick around for a bit. The Rockies can improve their organization without breaking the backs of their fans or the structure of their farm system. All they have to do is find the right trade partner.